Also called ‘pladijs’ in Dutch, a flatfish that feeds on molluscs and worms. Plaice live on the seabed, preferably not too far from the coast. A very popular fish, very important to the Dutch market. 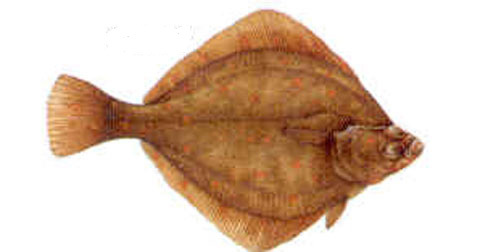 Large plaice are destined for the fresh-food market, whilst the smaller specimens are filletted, often for export to Italy, amongst other countries. There is a wide range of culinary uses for plaice. In salads, fish soups or fried, steamed or grilled as a main course. The most well-known is plaice fillet Picasso, served with a fruit cocktail.